Construction projects can be complicated undertakings, and if any problems were to arise before the project is completed, things can become difficult to resolve. Imagine you are working on the framework of a two-storey detached home. One night, a devastating summer storm rolls in and relentlessly batters the building site, effectively undoing several weeks of progress. Situations like these call for contract works insurance (CWI). CWI, also known as contractors all risk insurance, provides cover for work that is underway on a building site. If work that’s in progress is damaged by an insured event—such as a fire, flood, storm, vandalism or theft—then CWI can help pay to repair or redo that work. 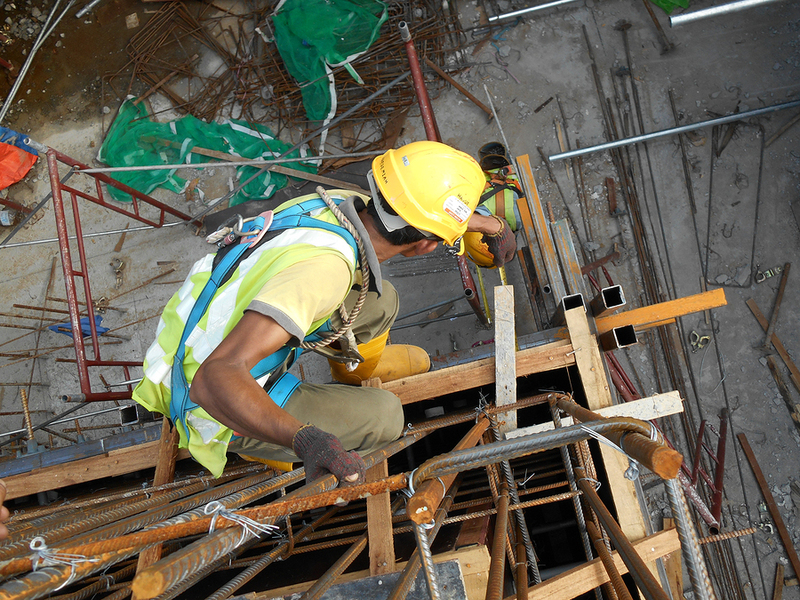 There are a number of damaging incidents that could occur over the course of a building project, and it is essential that everyone involved has the proper insurance as well as understands their liability and insurance responsibilities. That is why, as a subcontractor, contractor, tradesperson, employer or even a client, it is essential that you understand why CWI is important for any building project. However, whilst it may seem like a straightforward policy, there can be complex nuances to CWI. To help ensure that you have a firm understanding of what CWI is, how it works and why you may need it, review the following guidance. Whether your building project is straightforward or complex, you should have a contract that clearly outlines the project’s essential details. Often, a building project will use the Joint Contracts Tribunal (JCT) standard contract, although there is no obligation to use a specific form. In addition to explaining exactly how the work will be carried out, the contract should also state what insurance is required and who is required to have it—the employer, contractor or subcontractor. The contract may also require the insurance to be arranged in joint names. CWI provides cover for work that is in progress at the building site, for defects found during final testing and for issues during handover. CWI may also require the project to be insured for a specific time after the handover, typically 14 days. In addition, CWI can pay to repair or redo work that has been damaged by an insured event as well as replace building materials that have been damaged. Depending on the scope of your building project, the cover can be extended to include the plant used in the building process. Your CWI policy can be arranged for a specific contract or on a blanket annual basis for all building jobs that meet certain requirements. Regardless of your contract’s duration, your CWI policy’s sum insured, or the maximum value that the insurer will pay, is based on the contract value. Depending on your building project and its potential risks, you may want to supplement your CWI policy with extensions to close any insurance gaps. Even though your cover options will vary by your insurer, the following list provides a beneficial overview of what options could be available. How Does CWI Impact the Main Contract? The most complex components of CWI policies are the details associated with JCT contracts. Whilst there are several different versions of these contracts, for the purposes of this article, we will be explaining the JCT 2011 standard building contract. However, you may use whichever version you prefer—there is no requirement to use the newest JCT contract. Just be aware that your contract may be organised differently. There are several important clauses included in a standard JCT contract that you should be aware of before you sign it. These clauses all fall under clause 6, which outlines the contractual responsibility and liability of each party in the contract. Clause 6.1: States that the contractor is responsible and requires it to indemnify the employer for any expense, liability, loss, claim or proceedings that arise from personal injury or death caused by the work carried out during the building project. The only exception to this is if the personal injury or death is due to any act or neglect by the employer. Clause 6.2: Like clause 6.1, clause 6.2 requires the contractor to indemnity the employer for property damage, which only includes the structure on the building site. However, the clause does exclude damage to the building materials and damage to any existing property of the employer. The contractor is only liable if the property damage is due to negligence, breach of statutory duty, omission, or default. Clause 6.4: Requires that the contractor take out and maintain insurance for the duration of the building project that covers their liabilities under clauses 6.1 and 6.2, which would include employers’ liability and public liability. Clause 6.5.1: Specifies whether non-negligence cover is required. The contract may require the contractor to purchase additional insurance to cover injuries or damages caused by collapse, subsidence, heave, vibration, weakening or removal of support, or lowering of ground water. The cover is simply known as JCT clause 6.5.1 insurance. Option A: Applies to contracts involving the erection of new buildings and requires the contractor to take out a joint names policy. Option B: Applies to contracts involving the erection of new buildings and requires the employer to arrange the insurance. Option C: Applies to contracts involving alterations to existing buildings and requires the employer to arrange the insurance. Clause 6.8: Outlines the extent of the CWI policy and its permitted exclusions. The policy is required to provide insurance for the works and building site materials. It should be noted that, under the contract, building site materials are defined as ‘materials delivered to and placed on or adjacent to the works’. Even though it is listed as an extension, the policy must also include the cost of debris removal and any shoring or propping up of the works after damage. All building sites—regardless of size and complexity—are vulnerable to numerous risks. It does not matter what your role is on the building site—whether it’s as the employer, contractor or client—you should have a plan for when a risk does occur. CWI is an integral component to ensuring that even if a disaster were to strike, it would not halt or completely stop progress on the building project. For more information about how you can protect your building project, contact the professionals at Bond Lovis Insurance Brokers today.